This book was all the hype back in 2016 and I worried it would be too much and waited with reading it until now. My worries were right and I didn’t care for it. 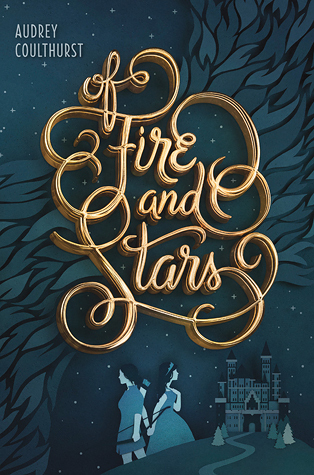 I found Of Fire and Stars a flat copy of every other great fantasy story and forcing a bi/lesbian relationship into it. I give Of Fire and Stars by Audrey Coulthurst three out of five hearts, but it is more like 2,5 hearts instead of three. I didn’t care for this novel, the romance was forced and the characters have such ridiculously long names I can’t even remember them. Thandi is the crown prince and supposed the marry the main character, Denna. But even though he has a big role to play in the story, he is barely there and doesn’t do much of significance to help the story along. Mara felt childish and rude. It could be that Audrey tried to make her more of a rebellious character, but failed at it. I have no idea. I don’t understand have of the actions Audrey took while writing this novel. Denna has magic, otherwise it wouldn’t be a fantasy novel, which she struggles with because she has been forced to keep it a secret for most of her life. It made me think of the Disney movie Frozen a lot and wish the story would just end with Denna moving into a castle by herself leaving humanity behind. This novel is supposed to be a romance novel and still the romance felt forced between Mara and Denna. I couldn’t figure out why it felt so forced, because without the romance, there wouldn’t be a novel, right? There are a couple of assassination attempts, but further more it was an empty novel. This entry was posted in Book Review and tagged Audrey Coulthurst, Book Review, Fantasy, LGBT, Romance. Bookmark the permalink.